Use solar to lower your bottom line. Now that's powerful. Your company is always looking for ways to save money. Why not use solar to power your business? We specialize in four commercial industries and can bring light to your office building, retail space, agriculture site, or manufacturing warehouse. Solar gives you the ability to offset your operating costs and can save large commercial buildings thousands of dollars per year. Read more to find out about all the ways solar can benefit your company. Is Solar Energy Right for my Business? Our team of design experts can do a free analysis of your property. We’ll gauge your annual energy usage from the previous year, evaluate your property, then make system and panel recommendations based off of our calculations. We specialize in both grid-tied and battery back-up systems to design the solution that’s the best fit and most efficient for your home. 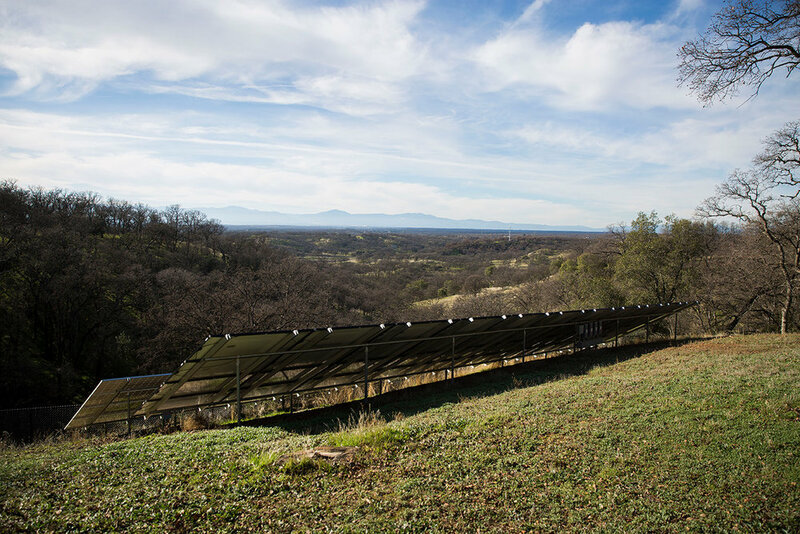 The interactive, or grid-tied, system requires an inverter and photovoltaic modules. The system is interconnected to the grid. Unlike the battery backup system, when there is a power outage a safety mechanism in the inverter blocks the solar power from backfeeding into your electrical system. Thus the solar system is dependent upon the grid (utility voltage) to operate. An interactive system with battery back-up is a system that interconnects to the grid (utility). It requires batteries, a bi-directional inverter, a standard inverter, and photovoltaic modules. If there is a utility power outage, the bidirectional inverter will disconnect from the grid and create its own “grid,” so to speak. This allows energy to be fed to a limited amount of circuits, maintaining some power during utility power outages. The stand-alone system is independent of any other electrical production. It requires batteries, a charge controller, inverter and photovoltaic modules. In this set-up, there is no interconnection to the utility grid. Rooftop installation allows for your solar panels to fit seamlessly into your pre-existing roof. It’s ideal for a streamlined, more aesthetic appearance and optimizing the space of your property. Rooftop systems also install easily and quickly. Ground-mounted installations are ideal for orienting your panels for maximum efficiency. With sufficient lawn space, we can build a racking system directly into the ground and install your solar panels without being constrained by the size, shape, or direction of your roof. Blue panels are made of polycrystalline. The color is largely due to an anti-reflective coating that helps improve the absorbing capacity and efficiency of the solar panels. These are typically less expensive and more widely used for solar electricity. 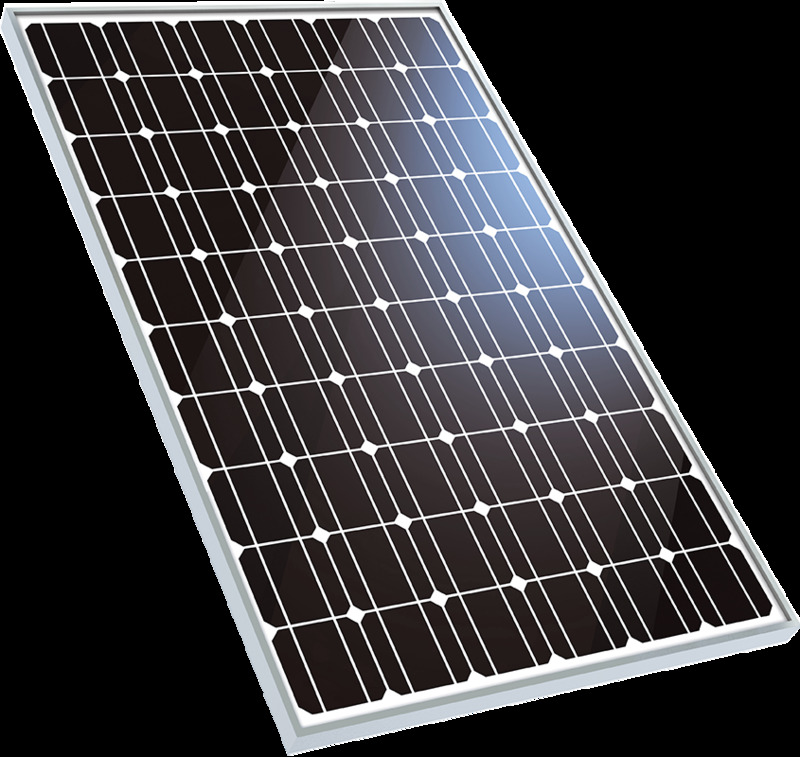 Black panels are made of monocrystalline. These are made of one large silicon crystal, and the way the light interacts with the silicon layer causes the panels to appear black in color. Monocrystalline panels are typically more energy-intensive, but also more expensive. Will solar energy really drive down the bottom line for my business finances? Absolutely. On average, companies equipped with solar energy offset their overall energy usage by almost 75%. After paying off your initial investment, which generally takes from 3 to 7 years, you’ll be saving huge money every month by breaking your dependence on the energy company. Plus, the average solar panel installation lasts for up to 35 years. You’ll be riding the waves of free energy for many years to come. Find more answers to your commercial questions. At Addy Solar & Electric, we’re here to guide you throughout the process every step of the way. The first step we can take together is an on-site estimate by one of our sales and on-boarding experts. Our team will answer every installation question you have and give you guidance so you can make informed solar decisions. Even if you’re not ready to make the switch to solar, we’ll help create a plan and pathway to get you there.